When a world of insane beasts are after you what can you really do? Despite calling himself the "runner-up at the prom," Jared Allen isn't bitter. Not after he tallied 3.5 sacks in Sunday's loss to the Bears to finish the season with 22 -- a half sack short of Michael Strahan's NFL single-season record of 22.5, set with the Giants in 2001. 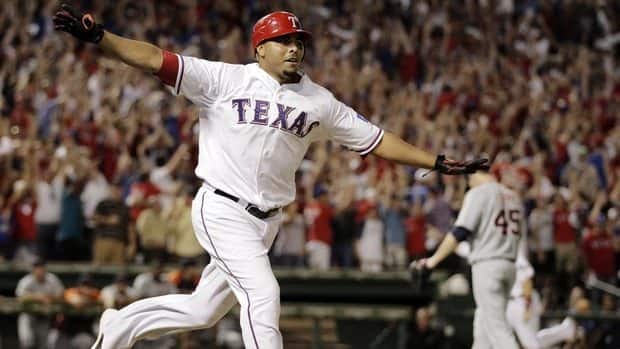 Nelson Cruz hit the first game-ending grand slam in postseason history, lifting the Texas Rangers over the Detroit Tigers 7-3 in 11 innings Monday for a 2-0 lead in the AL championship series.